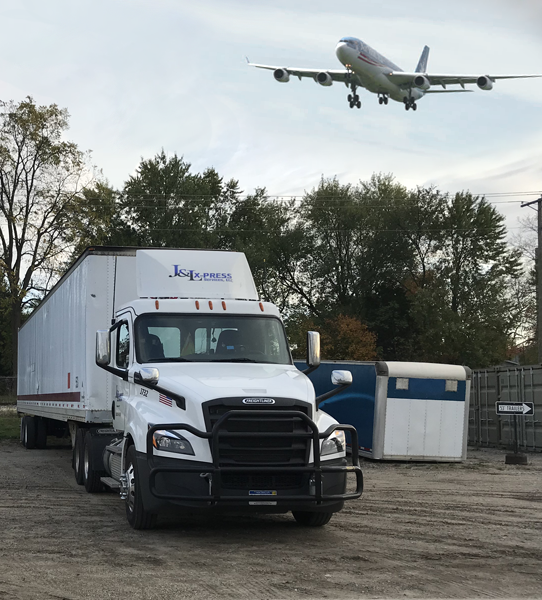 Whether you already use intermodal shipping – or are stepping into it for the first time – J&L X-Press intermodal transportation services can help consolidate your logistics, improve your efficiency and bolster your bottom line. Our intermodal shipping experts can show you how using the same conveyance for different shipping modes, without having to handle the cargo, is more efficient and cost-effect than many other transportation processes. As an experienced third-party Intermodal logistics company, J&L X-Press offers a consultative approach that offers more than just cost savings. Our tenured experts understand the ins and outs of intermodal capacity, pricing, and opportunity. This mean, as a shipper, you no longer need to worry about “how the pieces fit together”. J&L X-Press aligns your processes for you, to drive efficiencies and lower transportation costs. In addition to improving your supply chain, Intermodal is also good for the planet – reducing road congestion and cutting greenhouse gas emissions. For example, a single train can haul the load of 280 trucks, or more. Just one more good reason to consider Intermodal logistics! J&L X-Press intermodal shipping offers efficient, reliable, sustainable, cost-effective transportation solutions for companies of all sizes across the Midwest. Call for a free intermodal Logistics quote and start saving money today.